Has your repaired Aperture Control Block stayed fixed? I had mine replaced a couple years ago and it's starting to fail again, about 20K exposures later. The symptoms are exactly the same: one or two initial underexposed pictures after the camera has not been used for a few hours, gradually getting worse (happening more often and more underexposed shots). Today I followed the repair procedure for the solenoid armature and I'll see if that fixes it. Today I followed the repair procedure for the solenoid armature and I'll see if that fixes it. What repair procedure? Mine failed a few weeks ago. I just had it repaired( Not part replaced). It is working fine, But not sure how they fixed it other that some things I have read towards a repair of the solenoid. All I know is the fellow that repaired it said it was a fairly easy repair. So far the repair is holding up. Last edited by nihonsuki; 11-20-2016 at 03:52 PM. Reason: Added information. 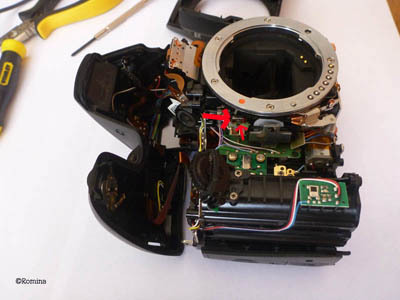 If you had your camera repaired, did it stay repaired? Or did they install the same flawed design of ACB and it will eventually fail/has failed again? First repair lasted a couple years, ~20,000 exposures. Did the second repair myself (using instructions found on the Forum) and after a few months it's still holding up. This is the repair I assume that Mark did on my K30. I was unwilling to try it myself because I was uncertain of the rough translation. It is good to know it worked for you. My understanding ( from what I have read) is that you also need to enlarge the air gap a hair after demagnetizing it. Otherwise the issue will return. No it is the magnetization of the armature that causes the sticktion . Last edited by rom01; 09-10-2017 at 04:39 AM. The repair I made to the solenoid armature about a year ago started to give out a couple months ago (first shot of the day underexposed), and recently this started happening more than once a day so I took the camera apart again and ground a little more off of the armature. It's been about 12,000 shutter actuations since the last repair. 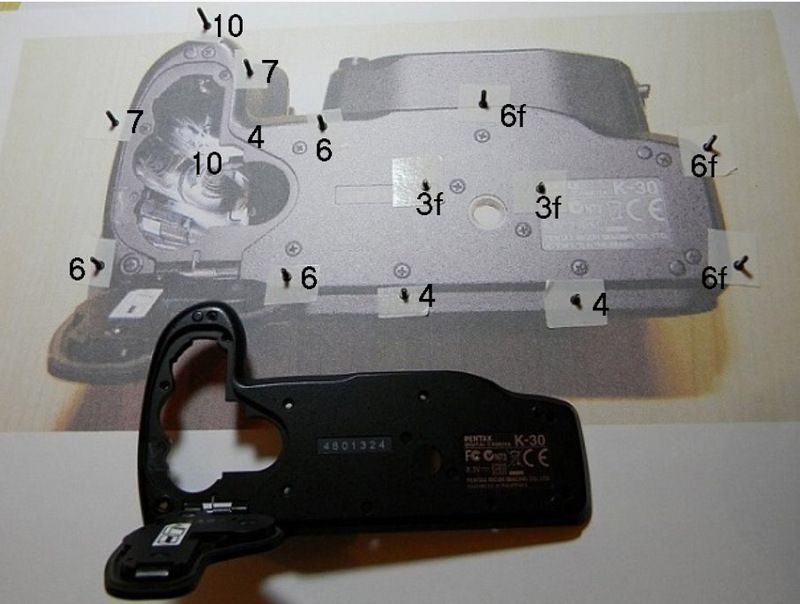 By the way, here's an annotated guide to the screws on the bottom cover and battery compartment. "f" means fine thread, for metal holes. My K50 went back to failure after repair but it was fixed by shooting a long burst. So far so good. I may just take mine apart for the experience. It die a horrible death a few months after the repair. fell about 4or 5 feet off my tripod. cracked the housing messed the meter up. I tried to use it in M mode that worked for a few days then it decided to over expose one shot then under expose then correct the over the correct then under etc. no idea what exposure you would actually get till checking the shot. Even back to back shots with the same settings, the exposure would be different. In other words It is none working period.